2017 MN Cup Launch Party - All entrepreneurs are welcome! MINNEAPOLIS, Minn., MARCH 20, 2017—Wondering if you have what it takes to create the next game-changing business venture in Minnesota? Drop by the MN Cup launch party March 20 in Saint Anthony Main’s Minneapolis Event Center to ask questions, meet past winners, and get a better feel for how MN Cup could help launch your dream — with $450,000 in total prizes! Since 2005, MN Cup has been building entrepreneurship in Minnesota by helping early stage businesses get off the ground. On March 20, the 2017 MN Cup contest opens for applications, and that night, past winners, judges, and mentors will be on hand to answer questions and provide guidance. Entry into the contest, now in its thirteenth year, is completely free, and it’s open to everyone—entrepreneurs, researchers, inventors and small business owners. (Businesses currently earning more than $1 million a year are ineligible.) Participation unlocks access to an array of resources, including mentorship, networking, and serious seed money. This year, MN Cup will award $450K, a new record! The launch party itself is a collaborative effort with the third annual Entrepreneurs at the Table (EAT) event, and will feature food and beverage samples from area startups. EAT is a showcase of local food and beverage companies hosted by Grow North, a program of the Holmes Center for Entrepreneurship that supports Minnesota's food and agriculture entrepreneurs as they grow and scale their businesses. More than 12,000 Minnesotans have participated in MN Cup since it began. Finalists have gone on to raise more than $230 million in capital to support the development of their ideas, create jobs, and broker numerous business partnerships, collaborations and distribution agreements. Participants have until April 28 to submit applications, and innovators from every imaginable sector are encouraged to share their ambitions. MN Cup isn’t just for high-tech or med-tech inventors, like last year’s grand prize winner StemoniX, a company that conducts stem cell-based research and drug screening. The contest awards prizes to entrepreneurs in eight different divisions: General, High Tech, Energy/Clean Tech/Water, Food/Agriculture/Beverage, Life Science/Health IT, Impact Ventures, and Student. 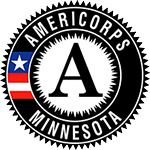 For the state’s youngest innovators, 18 and under, MN Cup offers a Youth division, created in partnership with Junior Achievement of the Upper Midwest. For more information on each category and entry details visit the MN Cup website. That means MN Cup is able to help a wide variety of ideas reach fruition—ideas like Asiya, an activewear brand designed for Muslim women, the winner in last year’s Impact Ventures division; Berd Spokes, makers of strong, lightweight bicycle spokes who won the General division; and digital advertising pioneers Vugo, who won the High Tech division. Last year’s winner in the under-18 division, ExpressionMed, creates bright, fun, personalized adhesives for kids with diabetes. And the Student division winners, Minnealloy Magnetics, manufacture transformers and inductors. Check out the full list of winners here. There are many rewards to go around, providing the financial support needed to grow Minnesota’s young businesses. Each division runner-up will receive $5,000, while division winners receive $30,000 and a shot at the $50,000 grand prize and $20,000 second prize. The Youth division will award a total prize of $20,000 — the first place winner will receive $10,000, and the second and third place winners and semifinalists will divide up the remaining funds. Competitors in every division are also eligible to win dedicated prizes, including from The Southern Minnesota Initiative Foundation, Carlson Family Foundation, Meda and DEED, Securian Financial Group, Capella and AARP. MN Cup entries must describe the product or service, its market size or opportunity, give a sales and marketing overview, a brief operating plan, and high level financial projections and assumptions. After reading all the entries, MN Cup judges will select semifinalists from each division to develop more comprehensive business proposals. They will then choose three finalists from each division to present final business plans. Winners from each of the eight divisions will be announced in late summer. At the MN Cup awards celebration in the fall, one will be chosen as 2017’s best breakthrough business idea. Each round offers opportunities to explore business ideas, gain exposure, learn about available business resources, be paired with MN Cup mentors, and meet members of the MN Cup Review Board. Lead sponsors of the 2017 MN Cup competition include 3M, Bush Foundation, Carlson Family Foundation, General Mills, Junior Achievement of the Upper Midwest, Land O’Lakes Inc., Positively Minnesota, Pentair, UnitedHealth Group, University of Minnesota and Wells Fargo. Supporting sponsors include 301 INC, AARP, Anchor Bank, ANDCOR, AURI, Cairn Ventures, Capella, City of Minneapolis, Clifton Larson Allen, Deluxe, Eide Bailly, Equals 3, Fredrikson & Byron, P. A., Gopher Angels, Grain Millers, Gray Plant Mooty, Haberman, Healthcare.mn, IBM, InsideOut Studios, The Kenyon Consortium, LFE Capital, Lurie, Magnet 360, Maslon LLC, Meda, Medical Alley, Medavise, Media Minefield, MentorMate, Messerli & Kramer, MHTA, Minnesota Department of Agriculture, Minnesota Department of Commerce, Mosaic, Proto Labs, Securian Financial Group, Six Speed, Sofia Fund, Southern Minnesota Initiative Foundation, Spoken Impact, Star, Startec, Star Tribune, Stoel Rives LLP, Sunrise Banks, TECHdotMN, The Schwan Food Company, Treehouse Health, Twin Cities Business Magazine, Venture Bank and Youthprise. 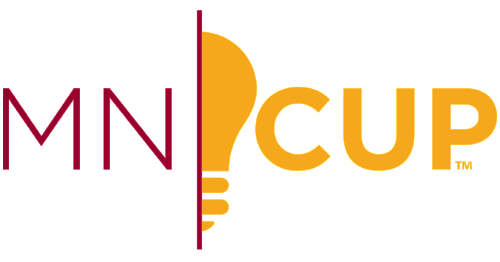 The MN Cup is a free, annual competition that seeks to support and accelerate the development of the best breakthrough ideas from across the state. For more information and details on how to enter for 2017, please visit http://carlsonschool.umn.edu/mn-cup/.